America's premiere university-based academic program dedicated to exploring the moral, political, and economic foundations of a free society. Open to incoming freshmen, the Lyceum Scholars Program is the first and only college program in the US that systematically studies the history of liberty and capitalism, the political ideas of the American Founding, and the requirements of moral character. 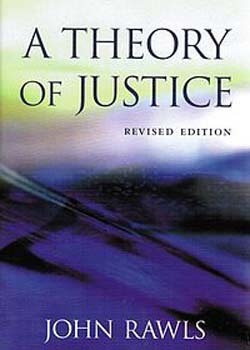 Using a Great Books approach, this unique curriculum develops students' faculties of inquiry and ignites their passion for knowledge. It presents students with ideas that are fundamental, timeless, and life-changing. 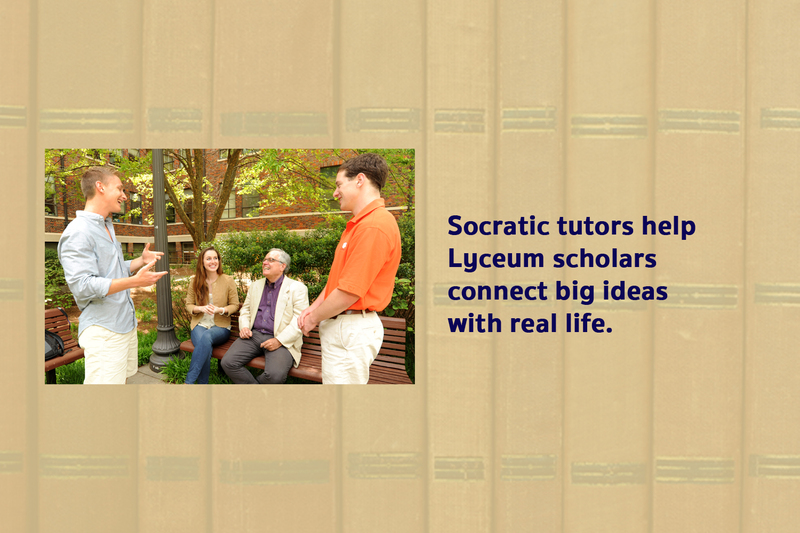 All Lyceum Scholars are assigned a faculty "Socratic tutor" who will closely monitor and guide their intellectual development for their entire four-year education. 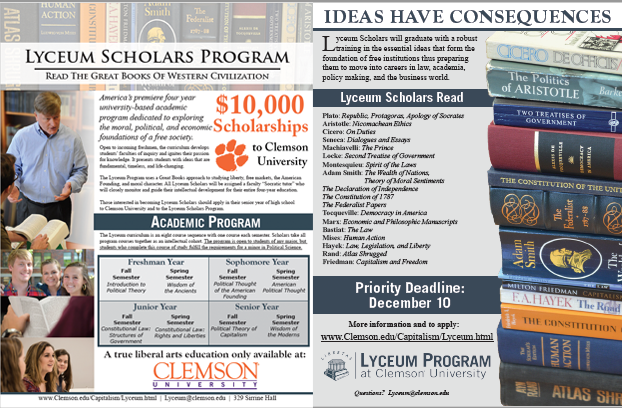 Those interested in becoming Lyceum Scholars should apply in their senior year of high school to Clemson University and to the Lyceum Scholars Program. The application is now closed for students entering college in Fall 2019. The application for students entering college in Fall 2020 will open in mid-August, 2019. 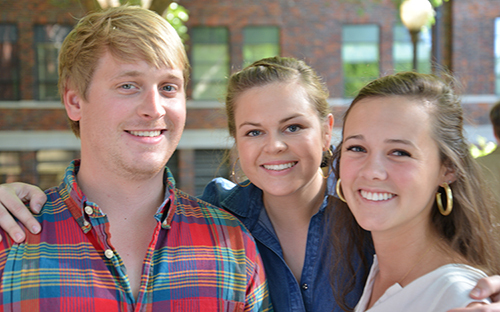 Current Clemson students please visit our Lyceum Fellows page. 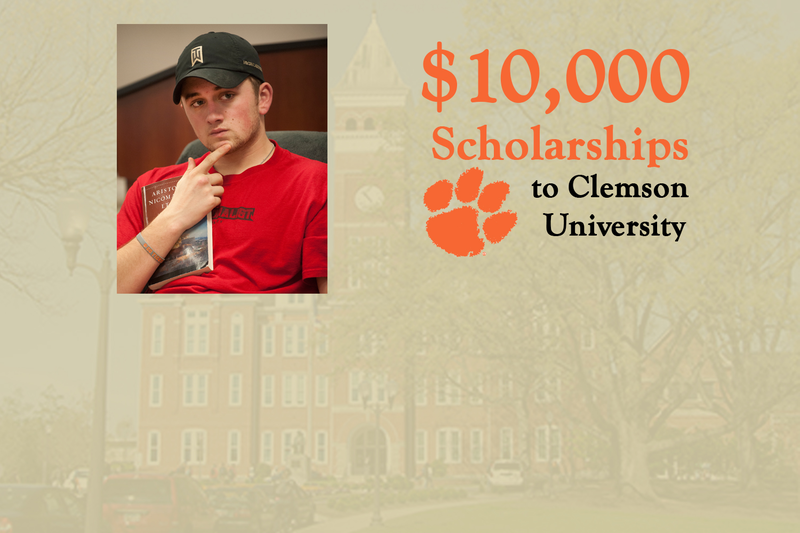 All Lyceum Scholars receive a $10,000 scholarship, which is disbursed over their four years at Clemson University. 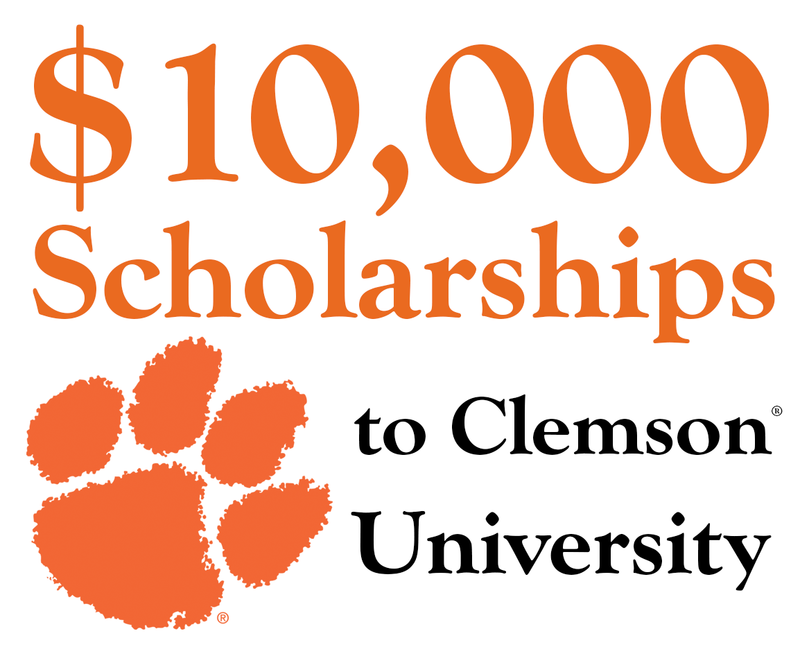 In exchange for this scholarship, students in the program take a sequence of eight courses with the other Lyceum Scholars in their entering class. The Lyceum Scholars Program draws inspiration from the Lyceum School founded by Aristotle in ancient Greece. 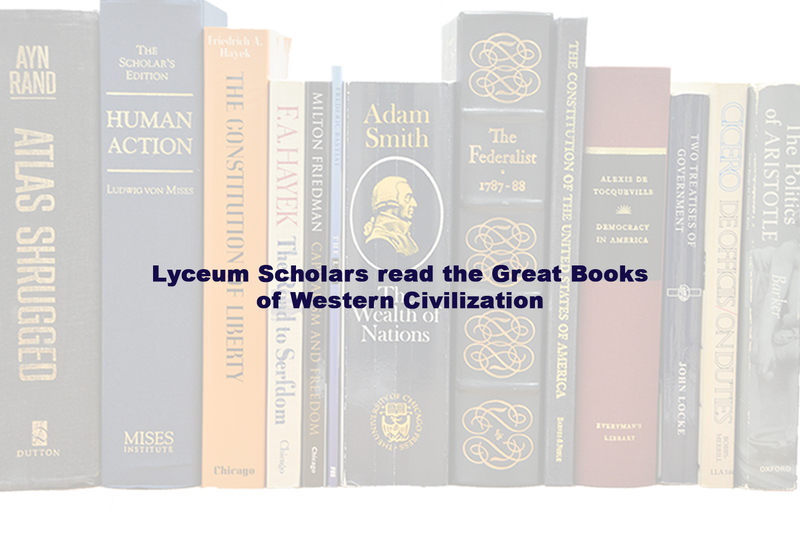 Lyceum Scholars study the moral principles of a free society, the political ideals of the American Founding and the economic foundations of capitalism. 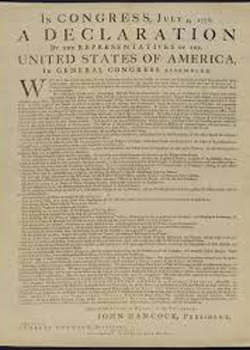 We believe there is a connection between moral character and a free society. At the end of this unique course of study, students will graduate with a robust training in the intellectual skills of being serious and honest thinkers, articulate speakers and eloquent writers. 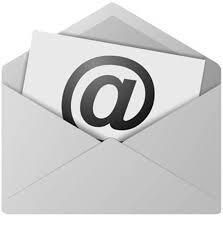 Additionally, students will be thoroughly familiar with the essential ideas that form the foundation of free institutions, thus preparing them to move into careers in law, academia, policy making and business. As a close-knit learning community, the Lyceum Scholars program helps students form lifelong friendships with others who share their interests. 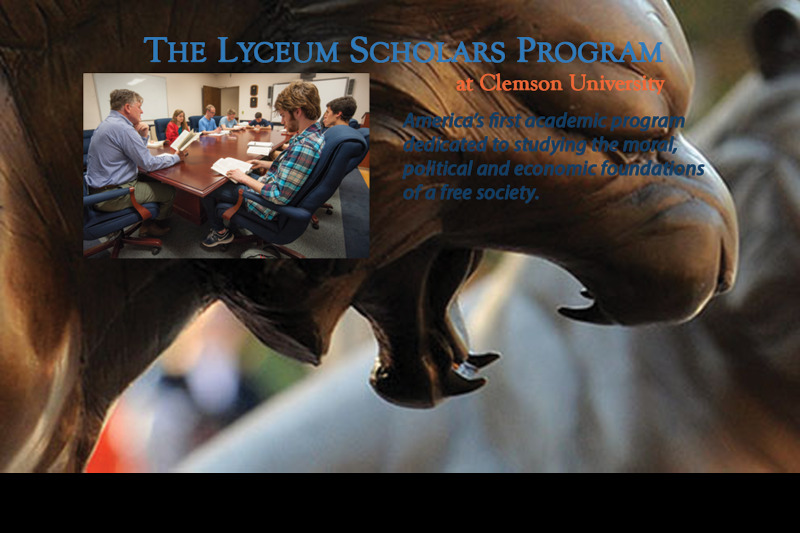 Each Lyceum Scholar is assigned their own 'Socratic Tutor' (a member of the Lyceum faculty), who mentors their intellectual and character development while at Clemson. 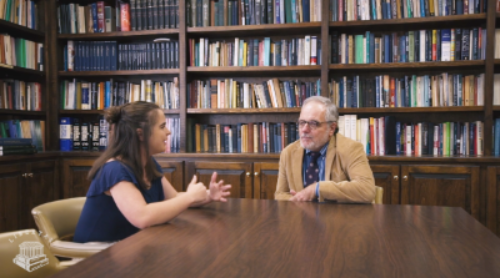 This mentorship helps students to connect theory (i.e., the ideas they learn in class) with real-life practice and to develop their own sense of moral character. 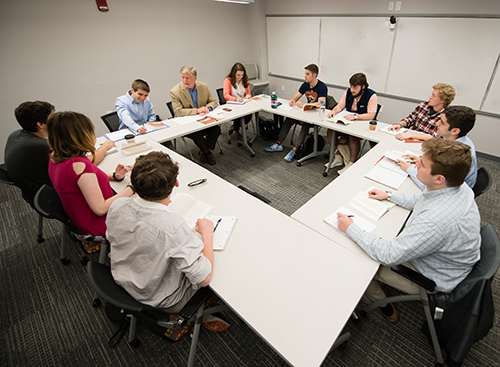 All Lyceum Scholars take a sequence of eight classes — one per semester — together as an intellectual cohort. The program is open to students of any major, but students who complete this course of study fulfill the requirements for a minor in Political Science ("Political and Legal Theory"), and six of the eight courses count towards the Political Science major at Clemson. 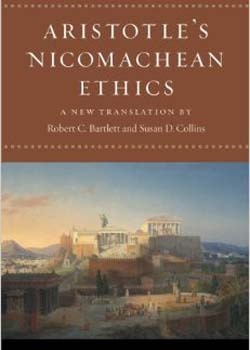 A seminar-style course in ancient Greek and Roman moral thought. 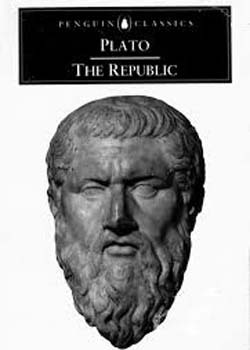 Scholars read Plato, Aristotle, Cicero, Plutarch, Seneca, Epictetus, and Marcus Aurelius and examine what it means to live a good and moral life. 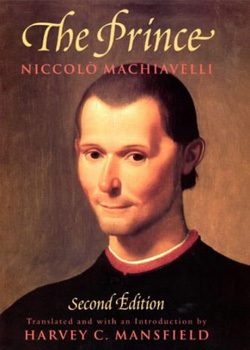 Introduction to major themes and thinkers in the Western tradition of political thought. 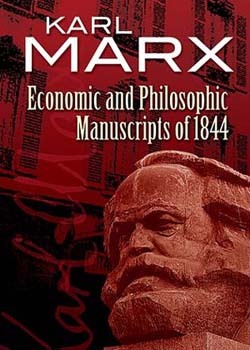 Scholars examine classic primary texts of the ancient and modern periods, including Plato, Aristotle, Hobbes and Locke, to acquire a working conceptual vocabulary of normative and theoretical terms, political ideologies, and fundamental patterns of human political organization. 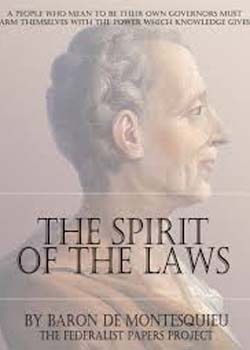 Intensive seminar of the principles and practices of America's founders (e.g., Washington, Adams, Jefferson, Madison, and Hamilton). 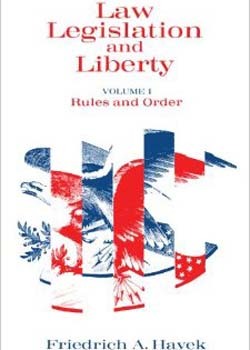 Examines how American revolutionaries struggled between 1765 and 1788 to develop new ideas about rights, liberty, equality, constitutions, republicanism, separation of powers, representation, federalism, and more. 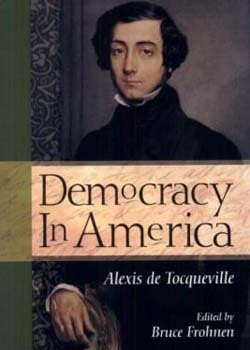 American political philosophy from the 17th century to the present with emphasis on political and social developments since the 1770s. 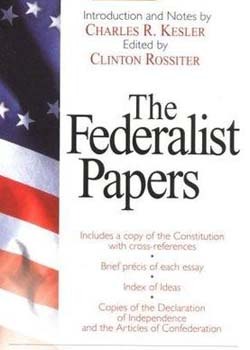 Examination and analysis of Supreme Court decisions and other legal materials in the areas of national power, federalism, the separation of powers, and the role of the judiciary. 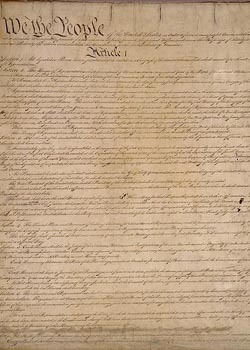 Examination and analysis of Supreme Court decisions and other legal materials in the areas of civil rights and civil liberties, with an emphasis on freedom of speech, freedom of religion, equal protection of the laws, and privacy rights. 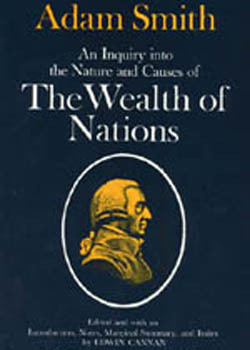 Examines the ethical foundations of capitalism. 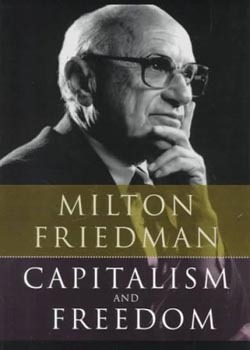 Focuses primarily on the major ethical theories that have supported or criticized capitalism throughout history. 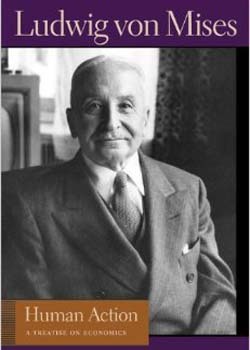 Topics include justification of private property, role of corporations, the profit motive, and the source of wealth creation. 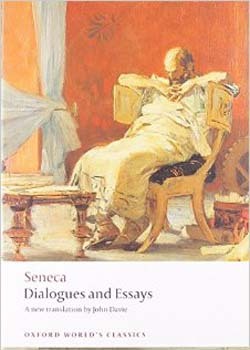 A seminar-style course where Lyceum Scholars study the best and greatest works in modern literature and philosophy. 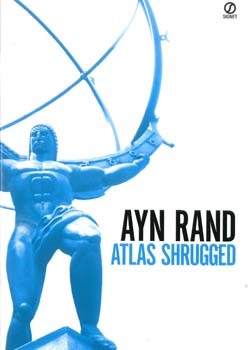 Scholars will read authors such as Shakespeare, Adam Smith, John Stuart Mills, Nietzsche, Dostoevsky, and Ayn Rand discover what these authors had to say about the human condition in the modern world. 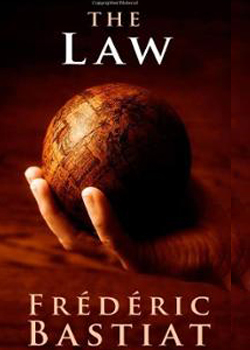 Exploring the moral, political and economic foundations of a free society.